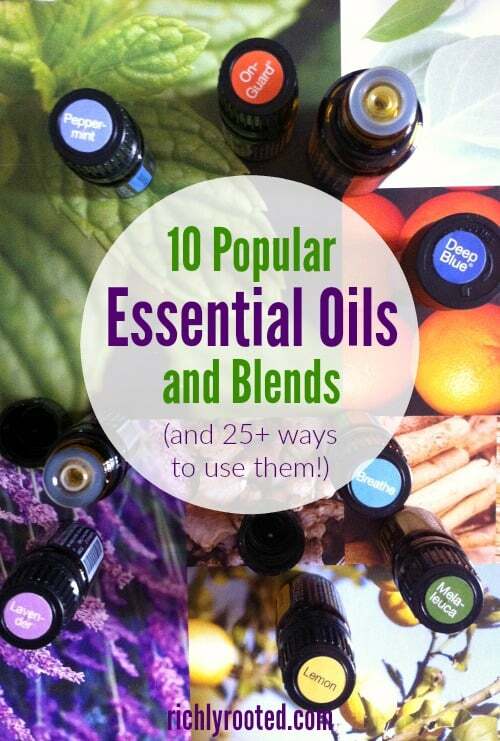 Here’s a guide to 10 of the most popular essential oils and blends. These oils are a great foundation for your natural medicine and cleaning routines. This post is sponsored by Oils by Katelyn. Katelyn is wonderful to work with and has taught me so much about essential oils! I’m glad to pass on to you what I’ve learned! Essential oils are something I never got into because they seemed too complicated. 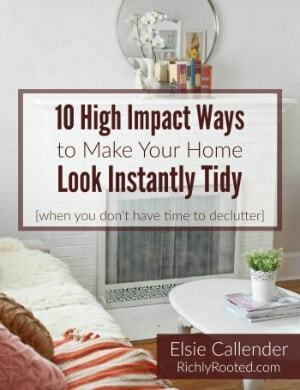 I had friends who raved about them but I didn’t have the least idea how to begin using them in my own home. For me, the key to simplifying essential oils was to get an essential oils mentor–someone with experience in using oils safely and educating others about effective usage. 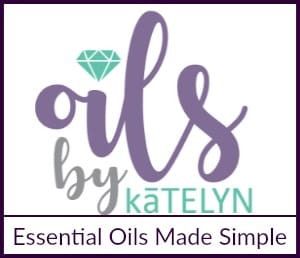 I introduced you to my mentor, Katelyn, in my first post on essential oils. That’s a good post to hop over and read right now if you want a practical introduction to oils, as well as four easy ways to incorporate essential oils into your life so you actually start using them! After you read that post, pick up here to learn about 10 of the most popular and versatile oils–plus some practical ways to use them for your health. In later posts, we’ll cover using essential oils for beauty and body care, and for natural cleaning. This would be a VERY long post if I tried to cram all that info onto your screen at once, so today we’re just going to focus on health and wellness. The essential oils I’ve chosen to talk about today are all included in doTERRA’s Family Essentials Kit, which is a great introductory kit to invest in. You can purchase this kit or other oils via Katelyn’s website. Many essential oils should be diluted in a fatty carrier oil, such as fractionated coconut oil. Fractionated coconut oil is by far the best carrier oil I’ve used because it absorbs easily into the skin, doesn’t stain clothes, and remains liquid even in cold temperatures (unlike virgin coconut oil). You can use other carrier oils like almond, jojoba, Argan, or even olive oil. Diluting your essential oils in a carrier oil helps to protect sensitive skin. In addition, since essential oils are very volatile and evaporate quickly, spreading them out in a carrier oil will let your body absorb them better. As I’ll mention below, some essential oils can be used “neat”–without a carrier oil–but if you’re ever in doubt, dilute! Any time you apply essential oils to young children or the elderly, you should dilute the EOs more heavily. And always be sure to do a patch test before applying an oil if it’s the first time you’ve used it! Minimal dilution = 6 drops essential oil to 2 teaspoons carrier oil (this will fit in a 10 ml roller bottle). Lemon, melaleuca, frankincense, lavender, Deep Blue, and Digestzen all require minimal dilution. Moderate dilution = 4 drops essential oil to 2 teaspoons carrier oil. Peppermint, OnGuard, and Breathe need moderate dilution. Heavy dilution = 2 drops essential oil to 2 teaspoons carrier oil. Oregano is considered a “hot” oil and requires heavy dilution. 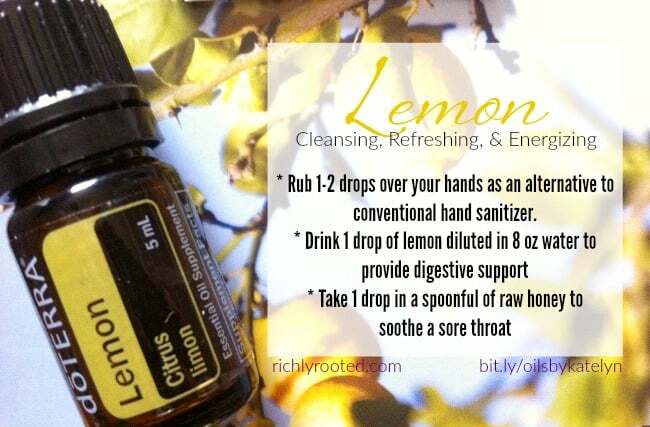 Lemon essential oil is a good antiseptic. You can put 1-2 drops of oil on your palm and then rub over your hands as an alternative to conventional hand sanitizer. To provide digestive support, drink 1 drop of lemon diluted in 8 oz water. For a sore throat, eat 1 drop of lemon in a spoonful of raw honey. Dilute 3 drops of melaleuca in 1 tsp of carrier oil and apply to skin irritations. Dilute 1 drop melaleuca in a few drops of carrier oil and apply to nail fungus or warts. Frankincense is known for its cellular benefits. Dilute 6 drops frankincense in 2 tsp carrier oil and use as a body massage to rejuvenate the skin and support healing for skin issues. Diffuse frankincense in a room, or inhale from the bottle to boost your mood and give you mental focus. Mix 1 drop frankincense, 1 drop lavender, and 1 drop peppermint in 1 tsp carrier oil and rub on neck and temples to relieve tension and headaches. Lavender is a powerful antihistamine and can be used to target seasonal allergies, bee stings, and bug bites. For bites and stings, use 1 drop neat (undiluted) on the effected area. Use lavender in a diffuser to soothe seasonal allergies. Lavender is also antibacterial and can help speed the healing process for small wounds or skin irritations. Apply neat or diluted in a carrier oil (6 drops lavender per 2 tsp carrier oil). 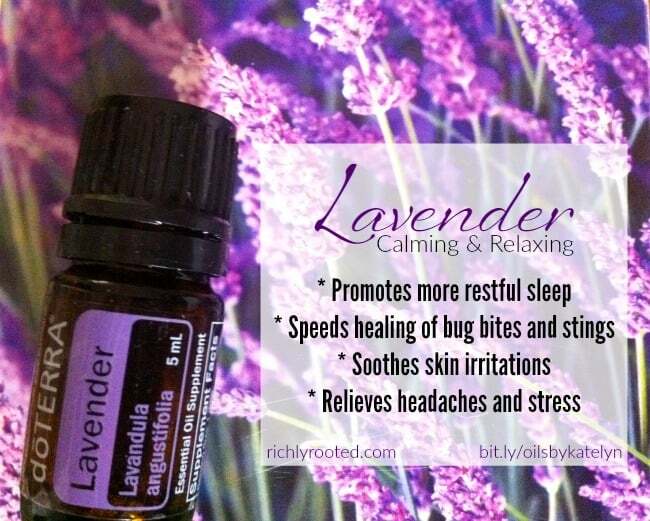 Use lavender to promote sleep, ease headaches, and relieve stress. You can inhale the lavender directly from the bottle, or rub a drop on your hands and then breathe in. For a massage, mix 6 drops lavender in 2 tsp carrier oil and rub on chest, bottoms of feet, temples, neck, or abdomen. For a room or pillow spray, mix 1 oz water and up to 10 drops of lavender in a spray bottle. Use this to mist your sheets and pillows before bed. This blend contains Wintergreen, Camphor, Peppermint, Ylang Ylang, Helichrysum, Blue Tansy, Blue Chamomile, and Osmanthus essential oils. I loved using Deep Blue for restless leg syndrome and leg cramps during pregnancy. It’s one of my favourite doTERRA products! Apply neat to tired and aching joints, or mix 6 drops in 2 tsp of carrier oil and use as a massage oil. Great to use if you experience writer’s cramp or arthritic joints! Rub Deep Blue on sore muscles after exercising, or anytime you’ve done heavy lifting or have been on your feet all day. This spicy-sweet smelling blend contains Ginger Rhizome/Root, Peppermint Plant, Caraway Seed, Coriander Seed, Anise Seed, Tarragon Plant, and Fennel Seed essential oils. Dilute 3 drops of Digestzen in 1 tsp of carrier oil and massage on belly or abdomen to relieve bloating, nausea, or an upset stomach. Take 1 drop in a cup of hot tea or a glass of water to support a healthy gastrointestinal tract. 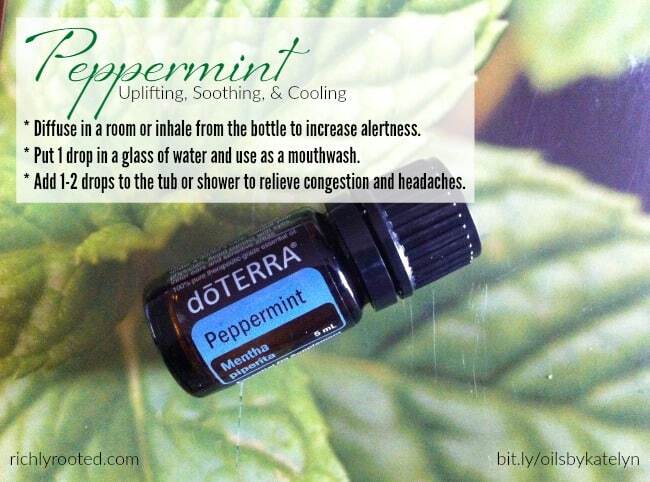 Diffuse in a room or inhale from the bottle to increase alertness. Put 1 drop in a glass of water and use as a mouthwash. Put 1-2 drops in the tub or shower while you bathe to relieve congestion and headaches. This blend contains Wild Orange Peel, Clove Bud, Cinnamon Bark/Leaf, Eucalyptus Leaf, and Rosemary Leaf/Flower essential oils. The scent is lovely–it reminds me of Christmas! Put 1 drop in a glass of water and use as a gargle or mouthwash to kill bacteria and freshen breath. Put 10 drops OnGuard in a 1-ounce spray bottle with fractionated coconut oil and use as a natural hand sanitizer. Breathe is a minty blend that contains Laurel Leaf, Eucalyptus Leaf, Peppermint Plant, Melaleuca Leaf, Lemon Peel, Cardamom Seed, Ravintsara Leaf, and Ravensara Leaf essential oils. Diffuse Breathe at night to promote restful sleep. Dilute 1 drop of Breathe in 1 tsp of carrier oil and massage on chest to relieve congestion or seasonal allergies. Support your respiratory system by diffusing oregano oil, or by using your oregano/carrier oil blend to massage your chest before bed. I hope this list gives you some very practical, actionable ways to start using essential oils to support your health! If you have any questions about how to use essential oils, Katelyn is a great resource. 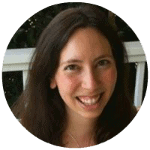 Get free essential oil samples HERE and attend one of her online get-togethers to learn more about EOs in a fun community setting. I know some people will ask, and I’m happy to answer! In a nutshell, the reason why I feel confident in promoting doTERRA on this blog is due to the quality of both the oils and the company. I am not a doTERRA sales rep, but I use doTERRA oils at home. I’ve learned so much from Katelyn, who does sell the oils and helps other moms to build home businesses with doTERRA, too. There are other high-caliber companies that sell essential oils, and maybe you’re already a fan of them! For me, it simplifies my life to stick with one brand. 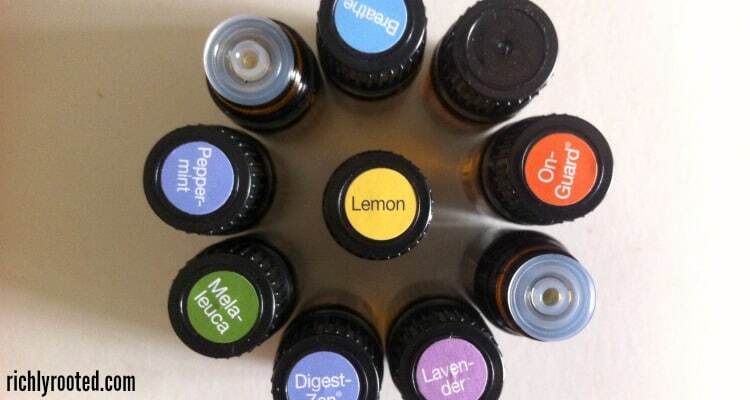 What are your favourite essential oils and blends?